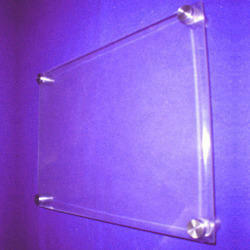 We have gained expertise in manufacturing and supplying a wide range of Acrylic Non-Standard Frames. 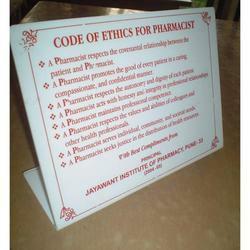 In addition to this, these poster frames have elegant designs and captivating looks. 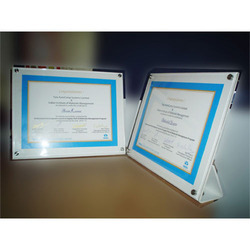 These frames are also available in complete covered types, where the photos are completely covered and secured for a longer time. 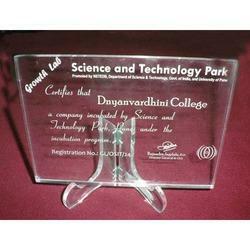 We are one of the prominent manufacturers and traders of Acrylic Printed Frame that is provided in various printing fonts and styles. 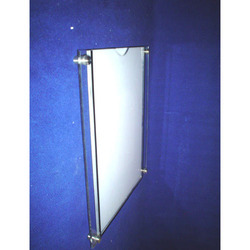 Made as per the requirements of our customers, these printed frames are vastly demanded in the market for their neat finishing and lightweight. 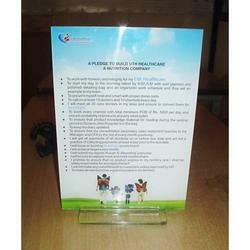 The presented range enhances the overall looks and can be easily mounted on the office table. 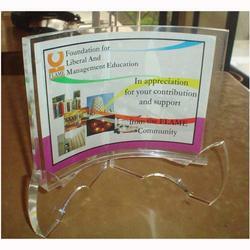 Our company is involved in the manufacture and trade of Table Mounted Executive Frame with a sturdy base. 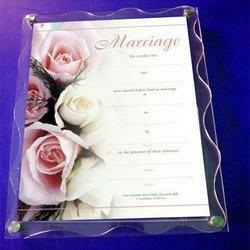 These attractive frames are suitable to be kept at the office table and enhance the overall looks of your workplace. 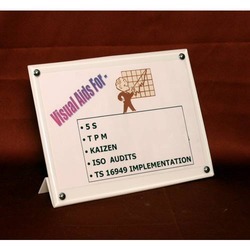 The offered range of high durability executive frames is made from superior quality material procured from our trustworthy vendors. 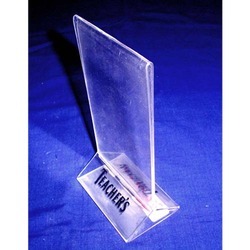 We are engaged in the manufacture and trade of Acrylic Folded Frame which is widely appreciated for its superior finishing. 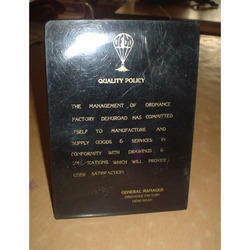 Provided with sturdy folded base, the offered range of lightweight frames is widely demanded among our valued customers. 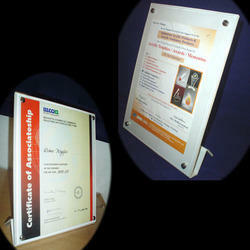 Folded frames provided by us are designed and developed under the preset industry guidelines. 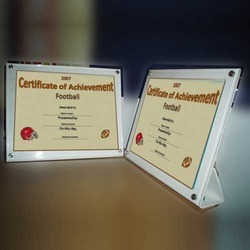 Our company is involved in the manufacture and trade of Acrylic Certificate Frame that can be availed in various specifications to meet diverse client needs. 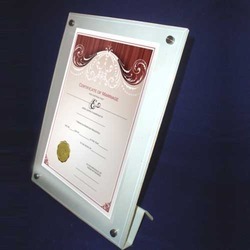 Made available in attractive designs, the offered range of lightweight frames is widely used by our customers for keeping important certificates. 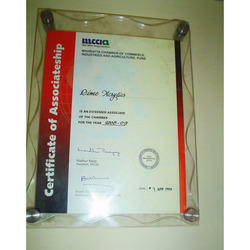 These frames can be easily mounted on the offices doors and walls as well. 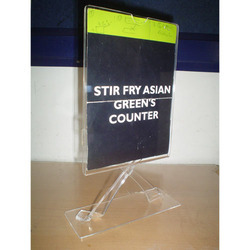 We are one of the leading manufacturers and traders of Sandwich Frame that can be availed in several designs and specifications. 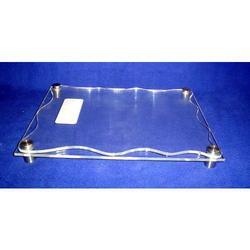 Premium quality material obtained from our vendors is used for making these easy to clean and high durability sandwich frames. 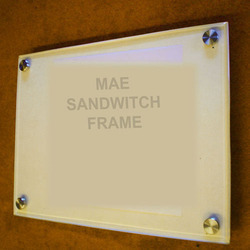 Easy fixation and optimum finishing are the major attributes of these simple sandwich frames.